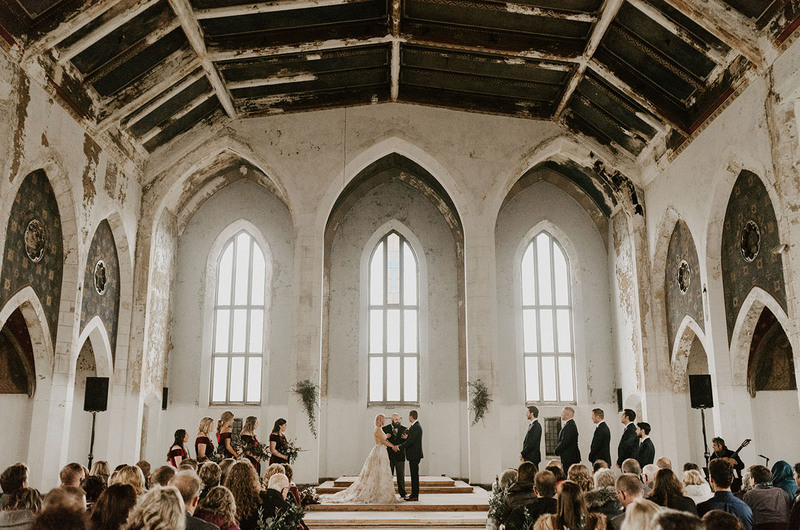 Picture this: a wedding ceremony in an abandoned cathedral, with tons of moody elements and romantic wintry décor. Got it? Okay, you can stop picturing it now because that’s exactly what we have in store for you today! 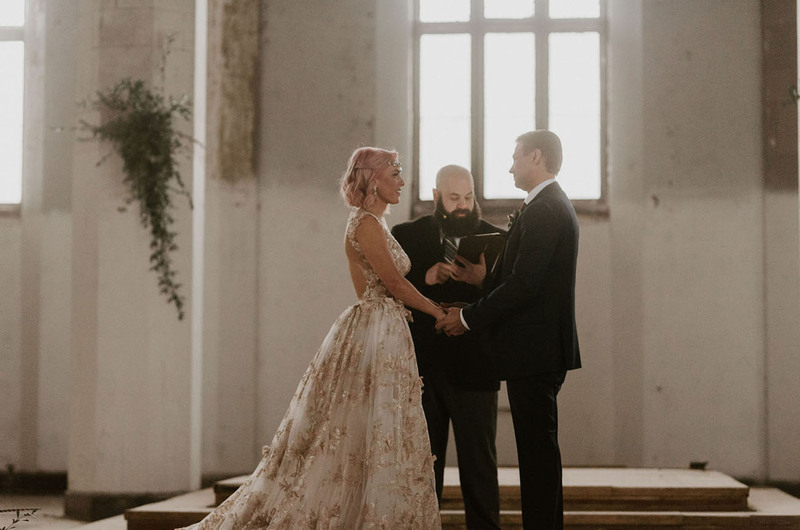 Shannon + Chris said their vows at the abandoned Woods Cathedral Church, and the place was brimming with magical accents that might just take your breath away. 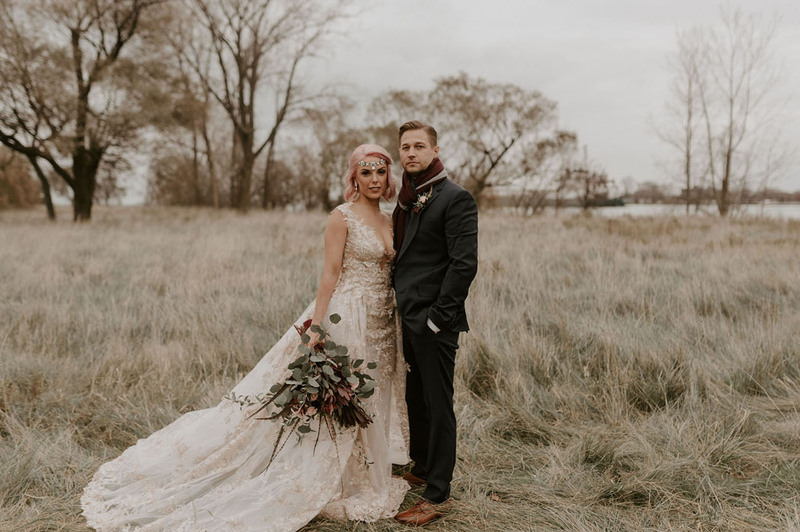 Cassie of Northern Native Photography tells us: This wedding represented the beauty and history of Detroit so well. 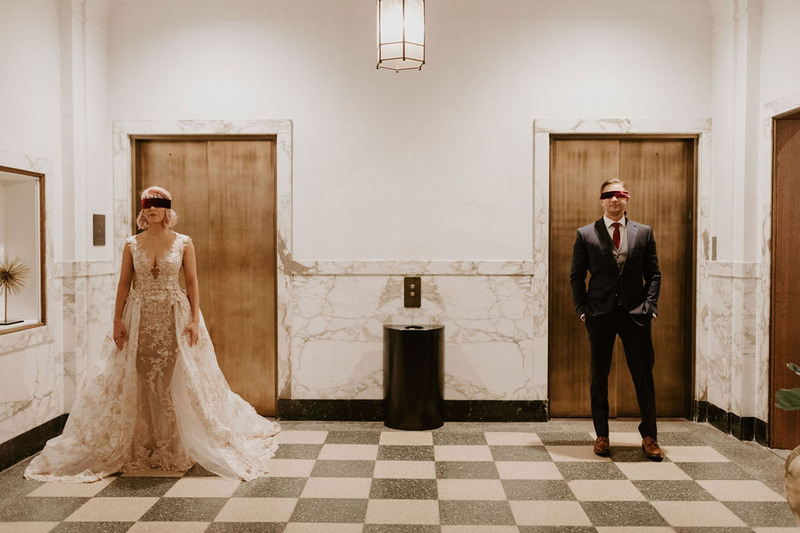 They even got ready at the newly refurbished Foundation Hotel which was originally a firehouse built in 1929…where Chris’ late grandfather worked, once upon a time. 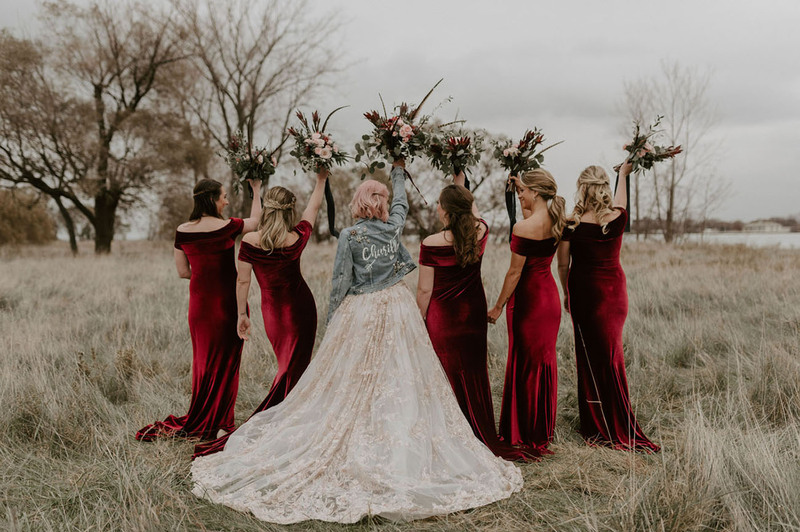 There were so many personal and sentimental details throughout the wedding—the bride DIYed hundreds of knickknacks and created the centerpieces…the dresses for the bridesmaids were even handmade by a friend! Ready to take a step back in time? Let’s see all the details Spoke Events helped S+C plan! Our hotel, The Detroit Foundation, used to be a Detroit fire station that Chris’ late grandpa worked at. 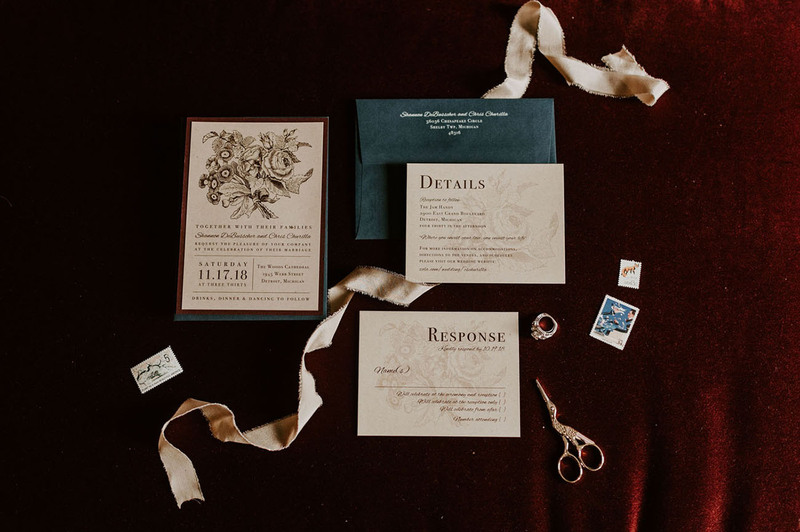 So, when selecting our wedding date, we had to work around when rooms were available there, as well as when our venues were available. It was a very important and meaningful thing for him so we had to make it work. 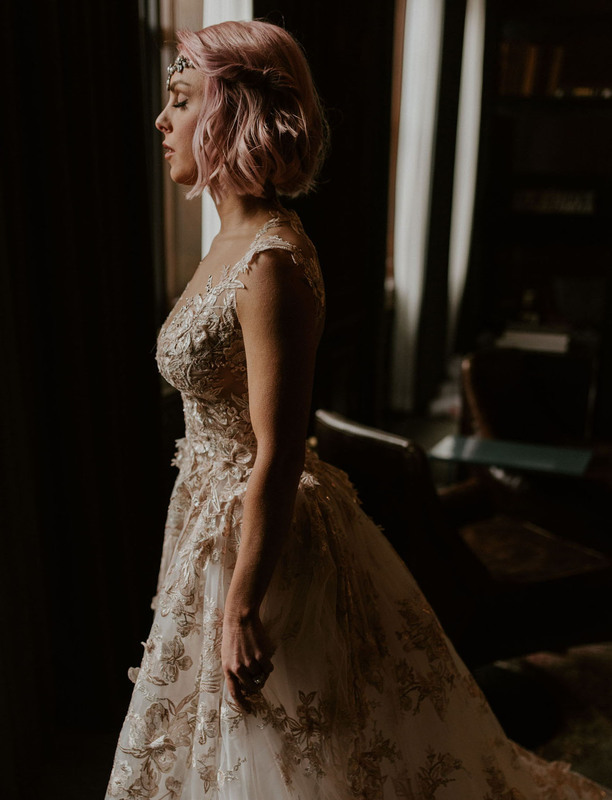 Isn’t that Galia Lahav gown a vintage-inspired dream? We wanted to do something different. 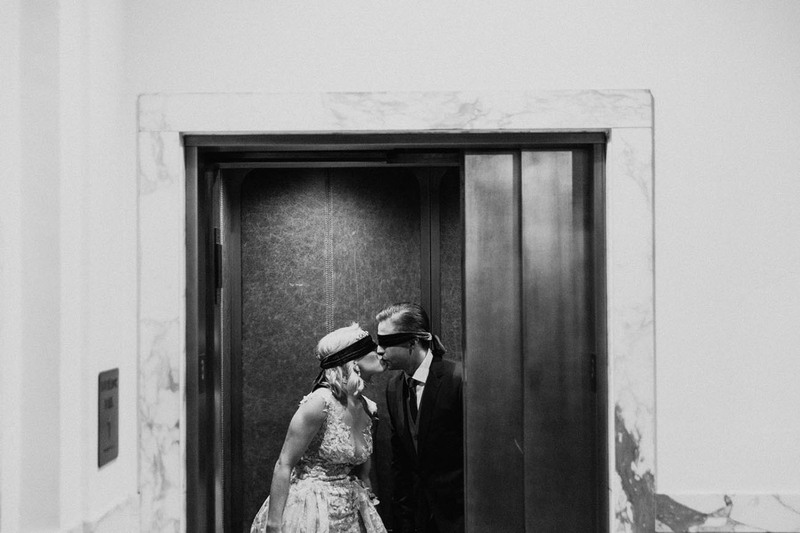 We had never seen it done before (with blindfolds) and thought it would be fun, different, exciting, and might make for some cool pictures! 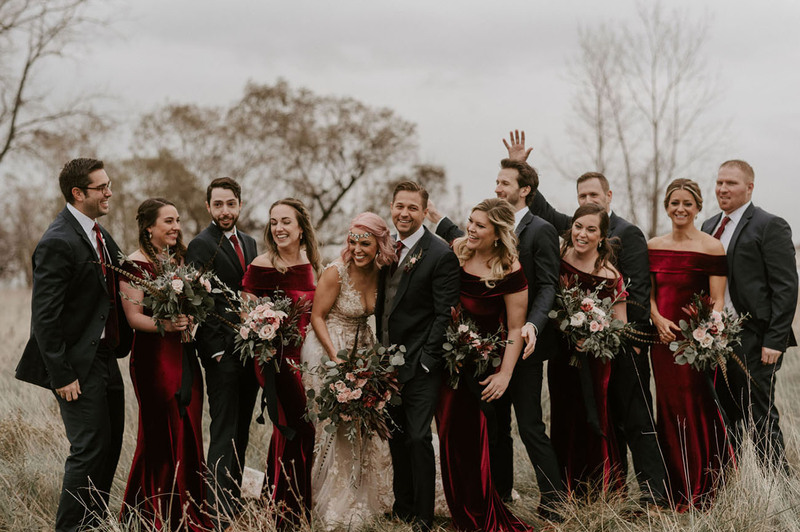 Chris was into it and even ordered us bandanas in our wedding colors…but they didn’t come in on time, so we used fabric from our bridesmaids custom dresses! It was fun having to be guided by people through the hotel and it made the wait of seeing each even more climatic! 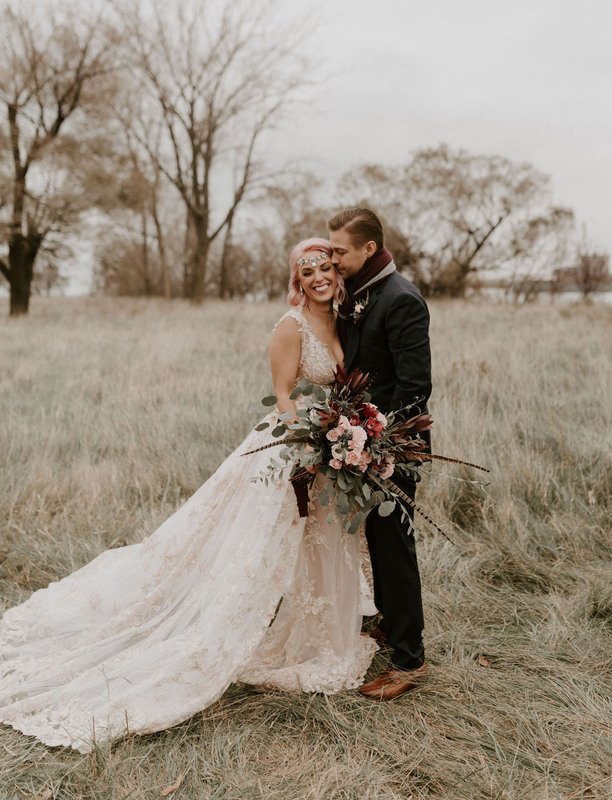 Kevin at TB Floral created the perfect moody bouquet for these two, complete with pheasant feathers. How dapper does Chris look in his Bonobos suit? 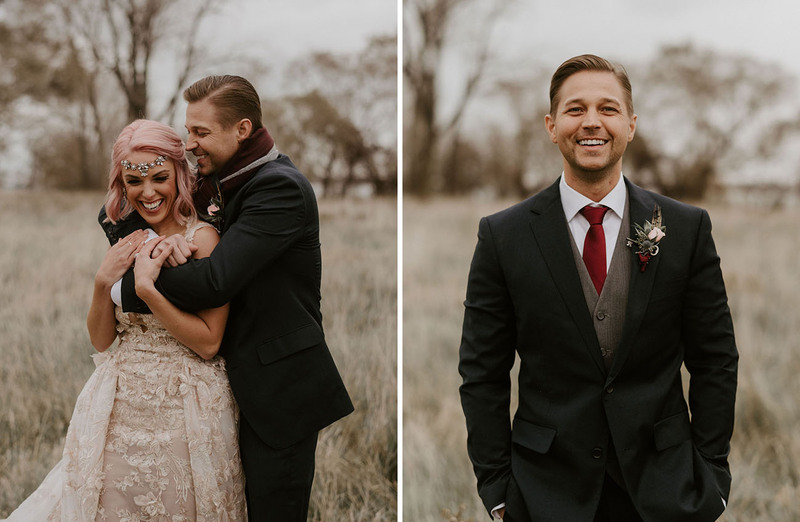 His boutonnière even has an antique key in it—a little representation of how he holds to key to Shannon’s antique-loving heart. All the bridesmaids donned custom gowns made by a friend of the couple. 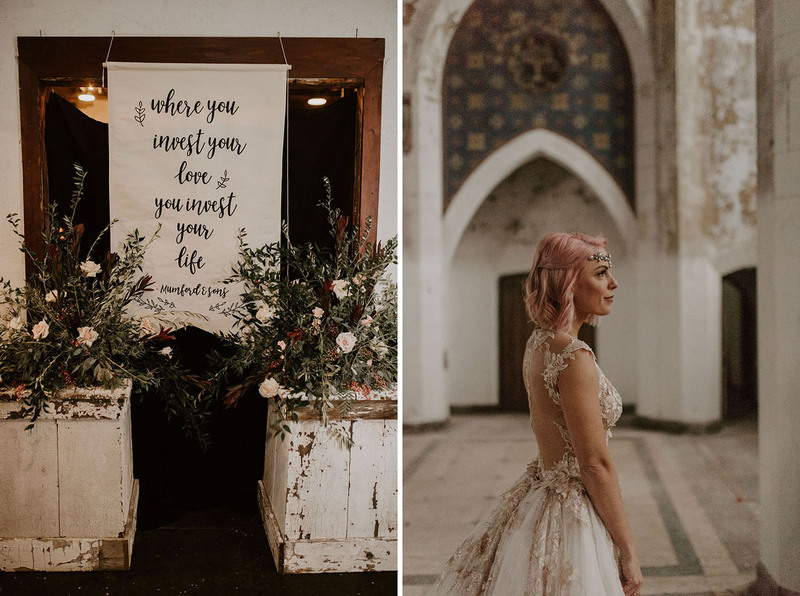 We included lyrics from Mumford and Sons into our day as much as we could—”Where you invest your love you invest your life.” For our ceremony, our friend Jason from White Buffalo Signage made us a beautiful sign with the words. We also had it at the entrance on a cloth as you entered the reception and on our custom cups! 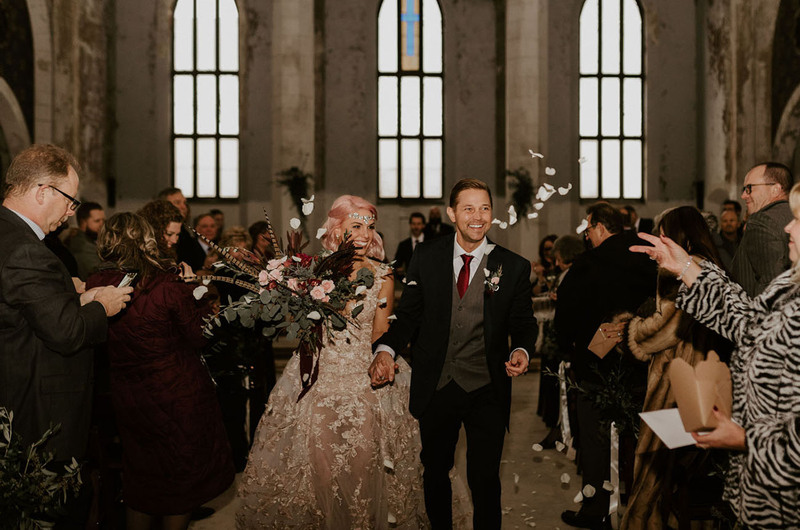 That ceremony space is EPIC! 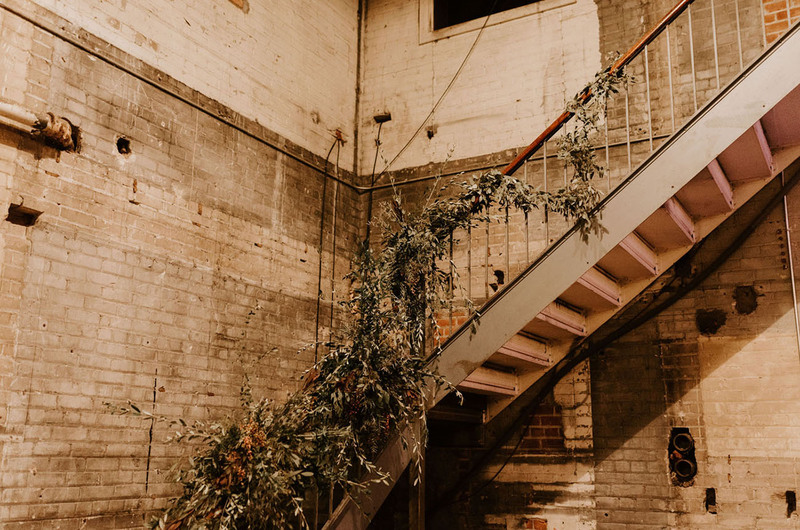 Love this location as much as us? 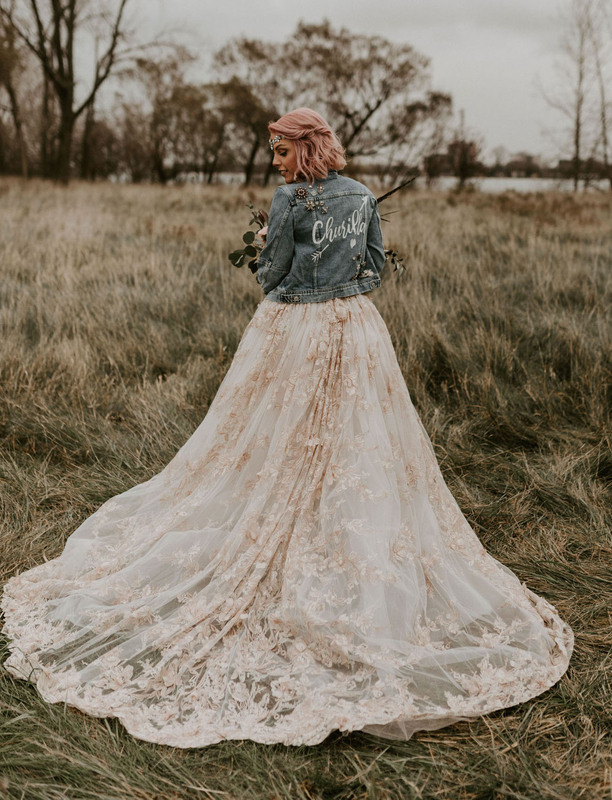 You might also dig this Boho Elopement Inspiration at a Gothic Revival-Style Castle in Germany! Do what YOU want together as a team. It’s about both you and it’s your day. Be open to hearing your partners ideas, likes, and dislikes. Make the day about both of you. Everyone will have their opinions on what they like and don’t like, just stay true to who you two are as a couple and it will be the best day. Don’t worry about what could go wrong just enjoy the process and enjoy your day it will be over in a second. 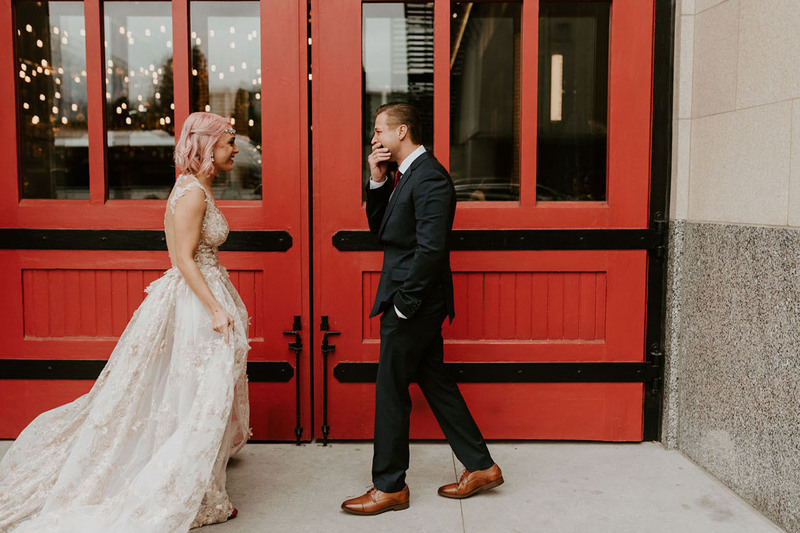 Take time to enjoy each other during the stresses of planning and on the day of your wedding, take a step back—just the two of you and look around all the people in attendance who have shared a part of your life and shaped you into who you are today. Their love for both of you has played a role in the love you now have for each other! 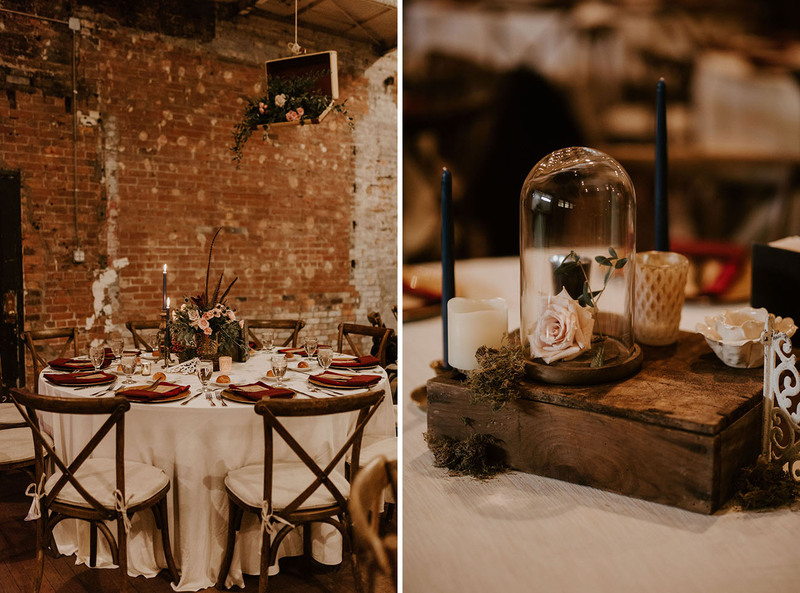 Shannon shares: I have always loved antiques and vintage things, so when it came down to decor I explained my ideas to Chris and he agreed. It wasn’t too “girly” and we had centerpieces that had tools, golf clubs, and sports stuff on them. I wanted to incorporate things that meant something to us. The whole day was so amazing and Chris keeps me on my toes and always brings something new to our relationship. For me, it was just seeing Chris and being with him. 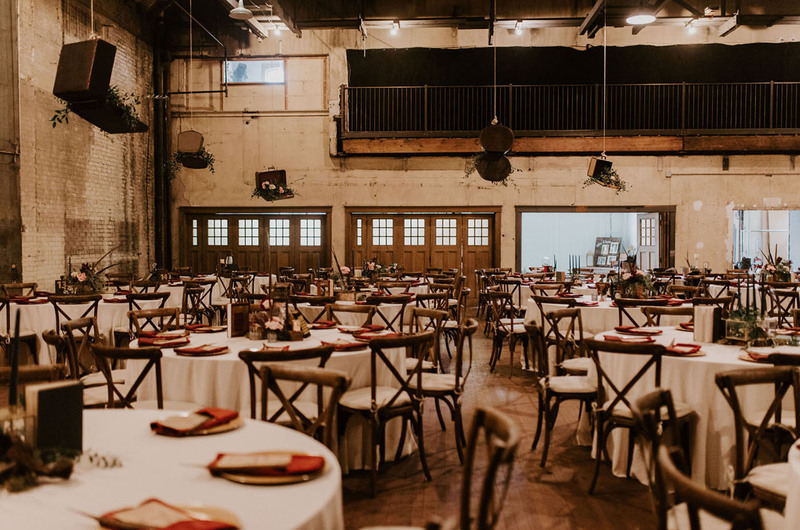 From setting up our reception venue the day before, and setting up our own rehearsal dinner space, to the ceremony and what that meant to both of us and seeing him enjoy himself at the reception. It was like seeing a brand-new side of him. It warmed my heart in so many ways. Chris’s most memorable part of the day was the anticipation of seeing me and finally being revealed. He cried and he’s not much of a crier. He also loved our ceremony and our vows that we worked on together as they hold special personal meanings. What a day!! 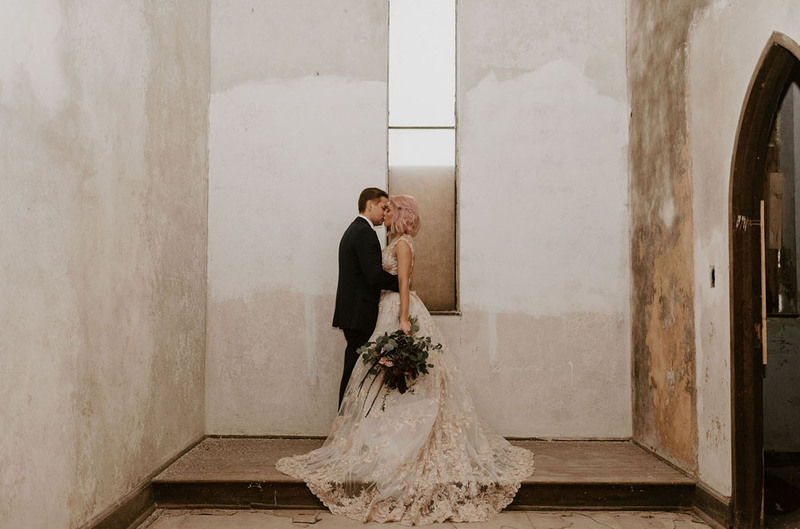 We are LOVING all the antique accents + how they tailored everything to symbolize their relationship. Congrats to the two of you! 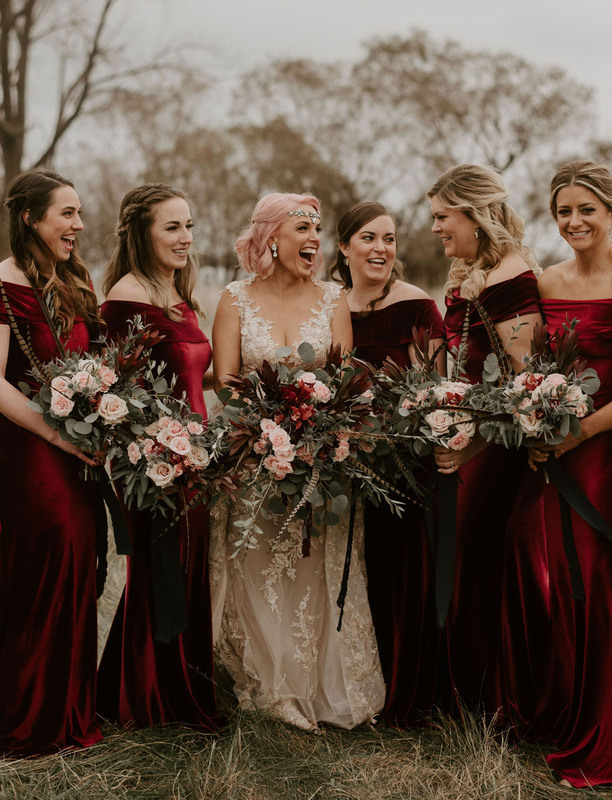 Wonderful: the extraordinary hair colour of the bride in combination with this beautiful dress! Good luck to this beautiful couple! 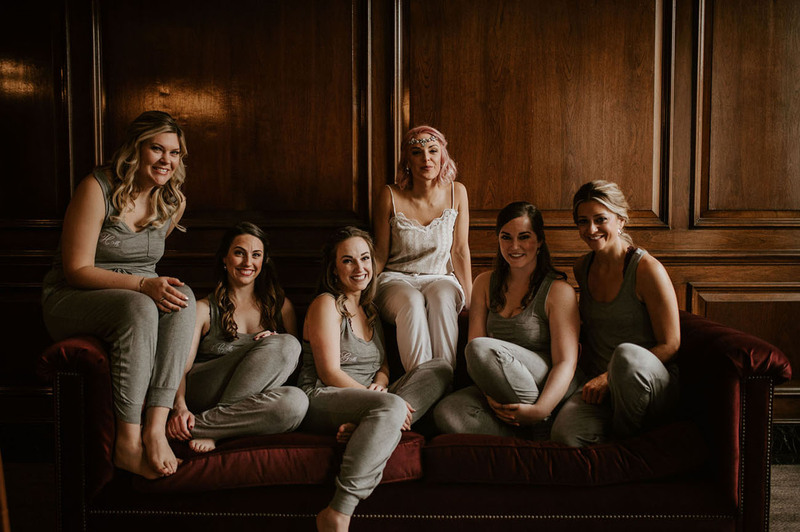 The name of the “friend of the bride” who made the Bridesmaids dresses is Erin Hoffman Leidlein. She is extremely creative and talented.